Recorded live machine in Rennes. 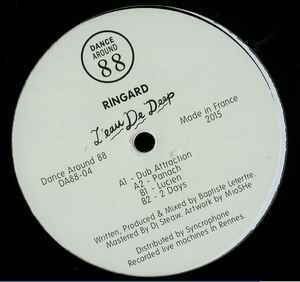 One of my favourite records, parful French deep house. All tracks sound like they'd go down well in the Panorama Bar. Echoing dubby goodness in A1, stomper. Dreamy pads in Panach. Love the acid line in Lucien + them snare claps. Favourite track however is 2 Days, a deep grooving bass line, hi hat heaven, haunting violin synths and a couple of piano breakdowns. Top top EP, clean great!